Nick Churton of Mayfair International Realty introduces a very special house in the heart if the English countryside. 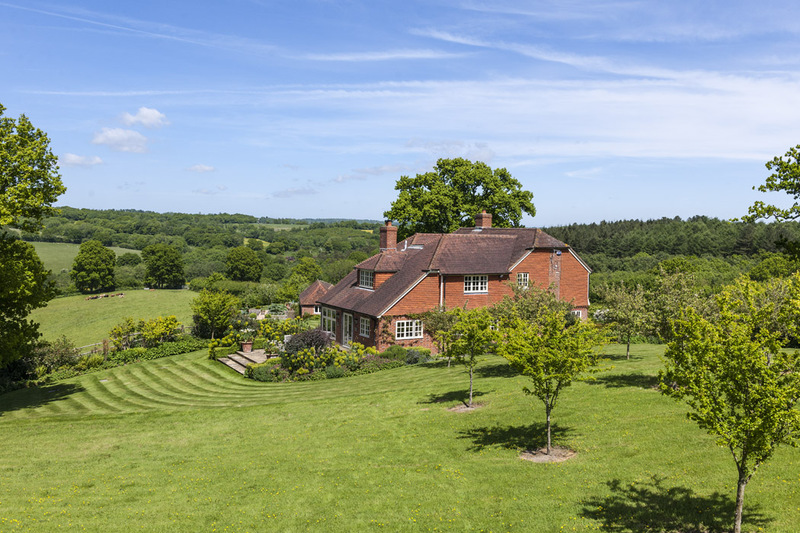 Take a beautiful East Sussex farmhouse, about 50 miles by road from London, with a distinctive hipped roof and pretty, tile-hung elevations; place it on a gentle slope with views over a peaceful and beautiful partly wooded valley. Take the interior and work it into an intimate space of great elegance and style. Then wrap around a garden landscaped with skill, planted with flair and tended with love. Add a guest cottage and a garden studio; insulate it all from unnatural visual and audible interferences and you have a little piece of English rural heaven. The thing about the south east of England – even its loveliest rural areas – is that it can be a bit crowded. It’s a busy part of the world really and a lot of people live and travel about there. So it is very hard to find a house without near neighbours, or a view without evidence of human infrastructure, or without invasive road traffic and aircraft noise. Indeed, it is nigh on impossible. Which is why Winters Farm, near Royal Tunbridge Wells, is so special. It is innocent of all these nuisances. And really that is all that has to be said. Because to visit Winters Farm is to want to stay. You don’t believe me? Find it and find out. This entry was posted in Batcheller Monkhouse. Bookmark the permalink.